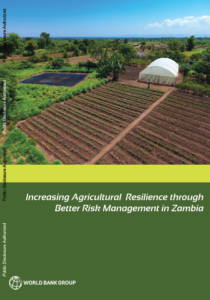 The analysis was based on risks affecting the top 10 agricultural commodities that ‎together ‎makeup about 80% of the value of farm production in Zambia. These are beef, ‎maize, ‎ sugarcane, cassava, tobacco, cotton, groundnuts, vegetables, chicken, and pork. The study also relied on risk prioritization exercises with stakeholder to identify management options for specific agricultural risks. The exercises proposed a myriad of options, including early warning systems, ‎climate-smart farming, Zambia ‎Commodity Exchange (ZAMACE) and warehouse receipt ‎systems, safety net programs, ‎agricultural diversification among others. 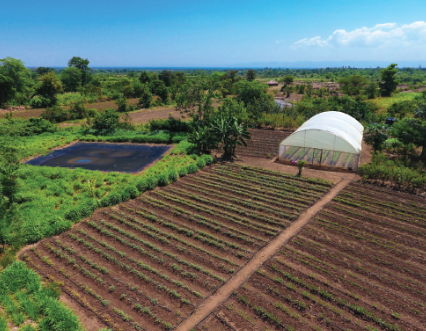 This report has informed PARM’s decision to launch feasibility studies for investment into two potential agricultural market risks management tools. The first, Warehouse Receipt Systems (WRS) connected to the Food Reserve Agency and the Zambia Commodity Exchange (ZAMACE), and the second on Access to Information on Early Warning Systems.